It really and truly is all about those little things in life. That smile just makes my heart smile, it's a pure and honest smile of happiness. 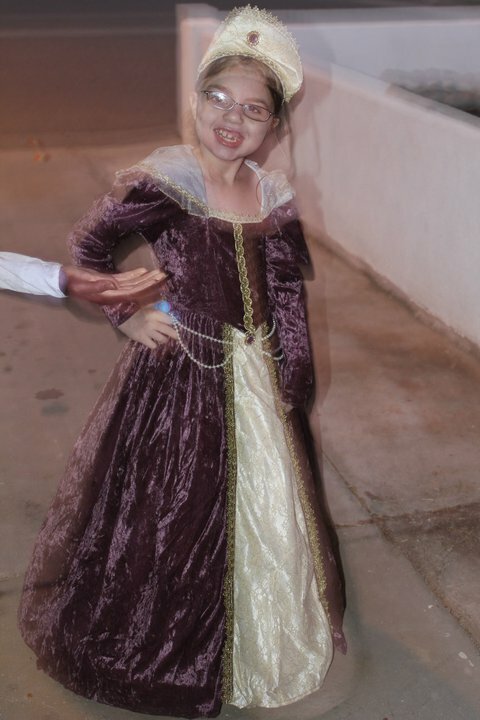 She picked out her costume and she doesn't go half way in being a princess, she goes ALL THE WAY! Every time I see that smile, my heart jumps and I fall in love and realize it's never about me but about giving her what she needs: shelter, clothing, food and love. What a sweet post and very cute pics! She looked adorable in her costume. Wonderful and precious! Young ones help us keep our priorities don't they? Thanks guys! She sure does make my heart smile!